The Islamic Centre of Ireland has issued a fatwa against female genital mutilation. 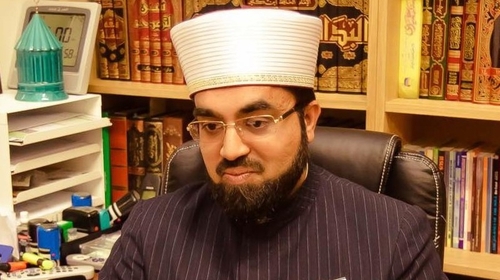 The Head Imam of the ICI said female circumcision is forbidden and sinful and that any Muslims aware of it taking place in Ireland should stop it and report it to authorities. The religious ruling by Shaykh Dr Umar Al-Qadri follows comments from another leading scholar from the Islamic Cultural Centre in Clonskeagh last week supporting female circumcision. In an interview on RTÉs Prime Time, Dr Ali Selim, who also lectures in Trinity College Dublin, said that while he was not an advocate of FGM, female circumcision may be needed in some circumstances. His comments were widely condemned by anti-FGM campaigners, medical practitioners and Minister for Health Simon Harris who say the practice is never justifiable, illegal and can be fatal. An estimated 6,000 women and girls living in Ireland have undergone the procedure. Minister for Health Simon Harris has welcomed the fatwa from the ICI. In a tweet, Minister Harris said he welcomed the "strong statement" which he said makes it clear that FGM has no place in any society, is wrong, harmful and a violation. He described the comments by Ali Selim as "appalling"